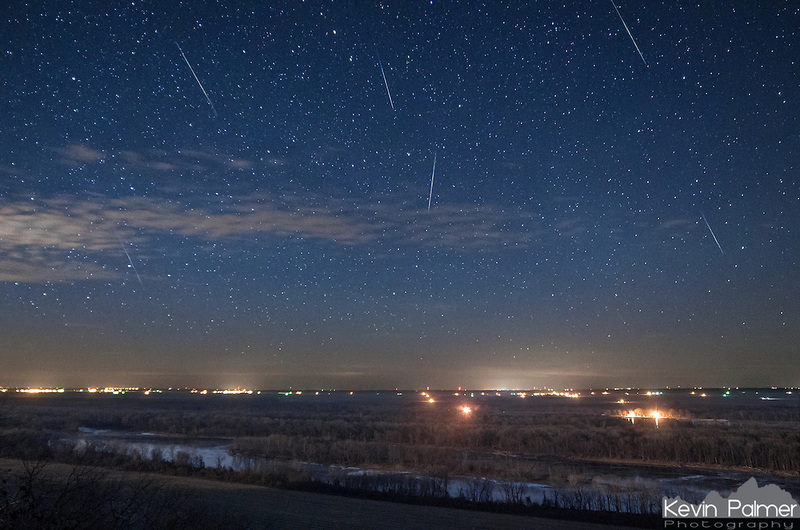 Shooting stars fill the sky during the Geminid meteor shower above the Mississippi River Valley. In the 2 hours after the moon set, I counted about 90 meteors. I also enjoyed watching Comet Lovejoy rise through binoculars and with the naked eye. The comet and it's tail can be seen over the haze on the lower right. I couldn't have asked for better weather for this meteor shower. Wind chills were -15 the night before, and a big snowstorm was arriving in the late morning. But in between the skies were clear with mild temperatures in the mid-20's.